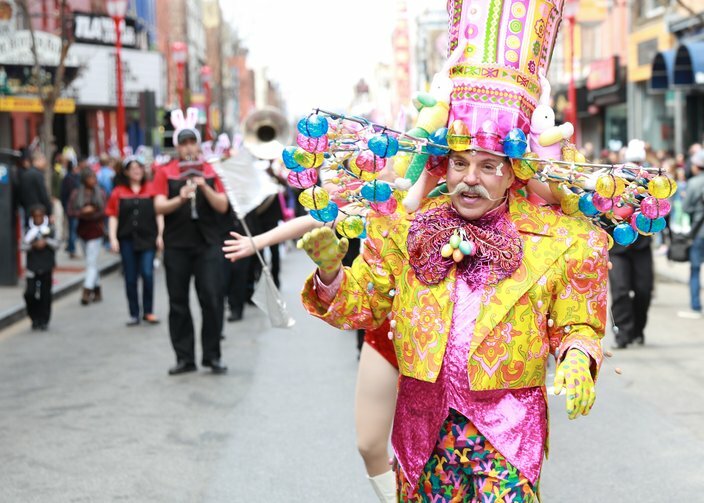 The Easter Promenade is a long-standing Philly tradition. The 86th Annual Easter Promenade will take place on Sunday, April 16. As one of Philly's longest-running traditions, the annual event is a holiday favorite for many families. All attendees – including pets – are encouraged to dress in their Sunday best to parade from the corner of Passyunk Avenue and South Street to Headhouse Square. 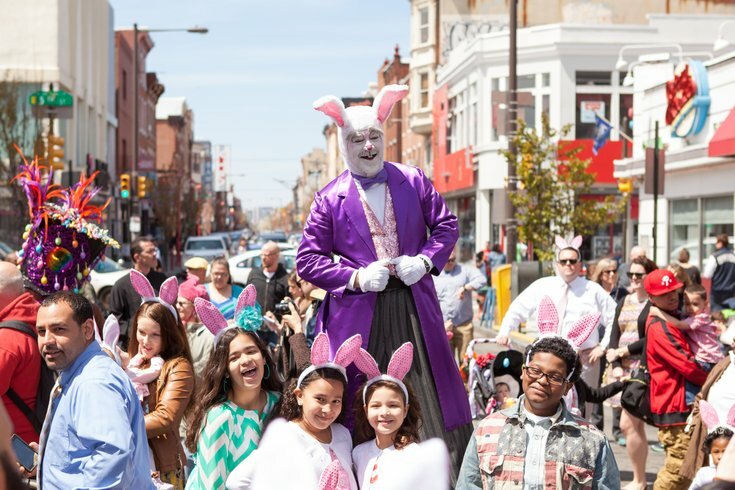 Henri David, long-running master of ceremonies at the annual event, will lead the group, along with Mayor Jim Kenney and Mr. and Mrs. Peter Cottontail. Once at the stage, David announces each "Best Dressed" category, which local celebrities judge. This year, 6ABC’s Alicia Vitarelli and WDAS’ Patty Jackson will be in attendance. The Razzle Dazzle category was created about 20 years ago. "When someone has a great outfit but we're not sure where to put them, they go in Razzle Dazzle," David shared with PhillyVoice. For those looking to impress the judges, David suggests going the homemade route. "Especially with Easter bonnets, the homemade ones show [contestants] put the extra effort in." David knows about extra effort. His master of ceremonies costume usually takes about one month for him to make. Bright colors and large accessories are staples of his holiday getups. "People expect me to dress up, and that's a good thing. I try to stand out because we want the people in the back row to have just as good of a view as the people in the front." Besides the fashion contest, there will be live music from the Philadelphia Freedom Band, a bunny hop, photo opportunities with the Cottontails, a petting zoo and Easter surprises. "It looks like we're going to have nice weather this year, but even when it's freezing or rainy, people still go [to the Easter Promenade]. Henri David is the master of ceremonies at the annual Easter Promenade.